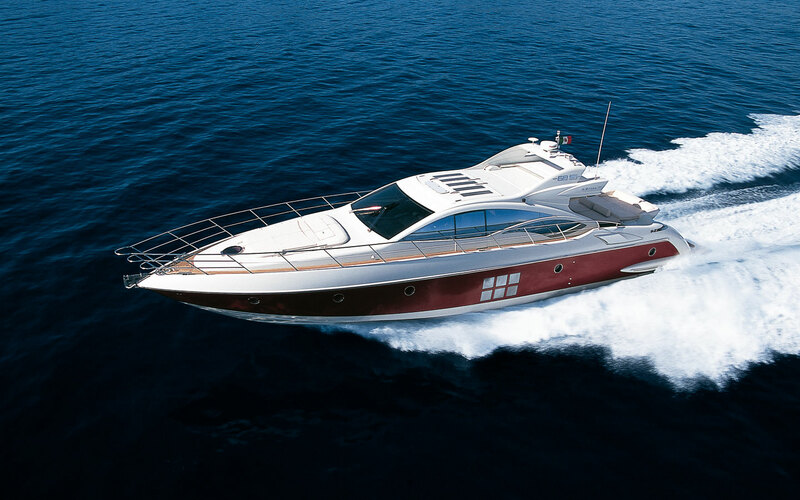 Built in 2005 by the Italian shipyard Azimut, luxury motor yacht SAPORE DI SALE measures 21.7m (71.2ft) and can accommodate up to 6 charter guests, in 3 en-suite cabins. 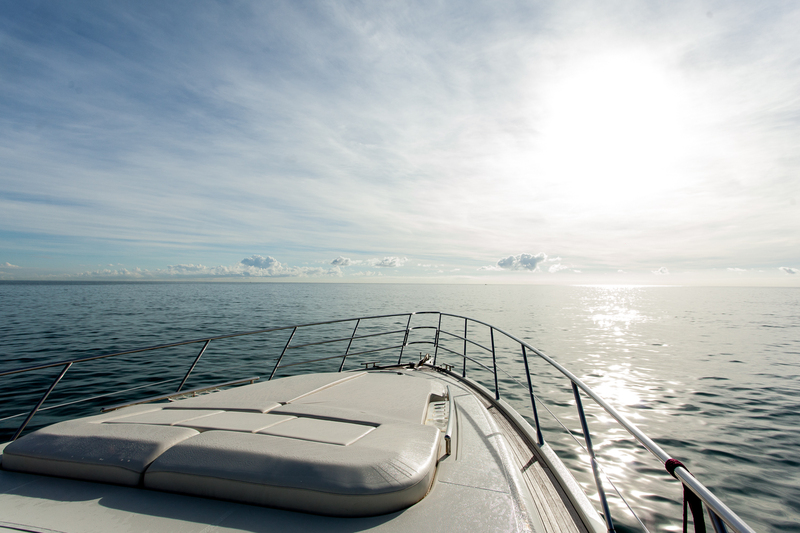 The SAPORE DI SALE yacht is based in the Western Mediterranean year round and is available for luxury yacht charters. 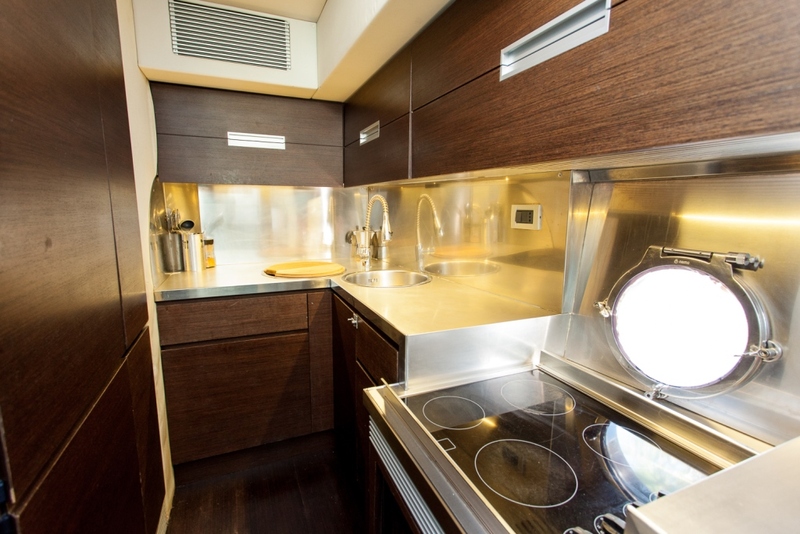 Crewed charter yacht SAPORE DI SALE has an open atmosphere, featuring ample natural light throughout the interior. In the salon, the décor is contemporary and welcoming, with supple neutral soft furnishings. 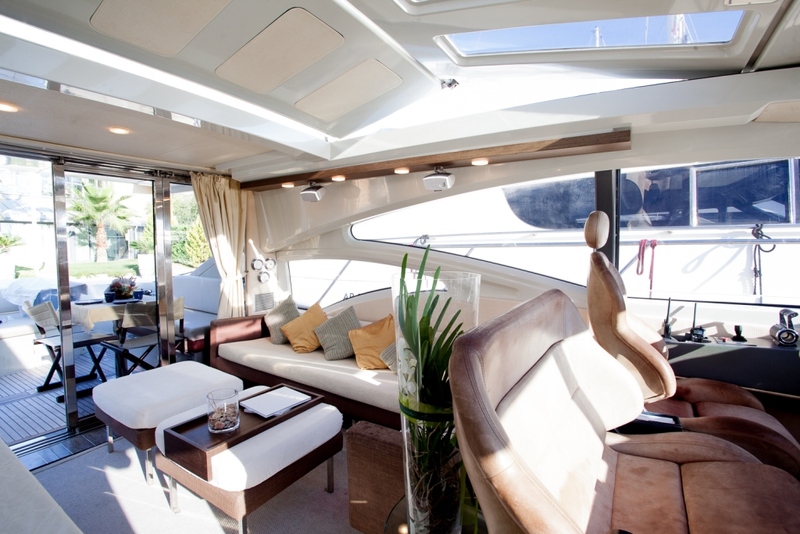 On the port side is a comfortable lounge with sofa, occasional chairs, ottoman and coffee table, while to starboard is the formal dining table. 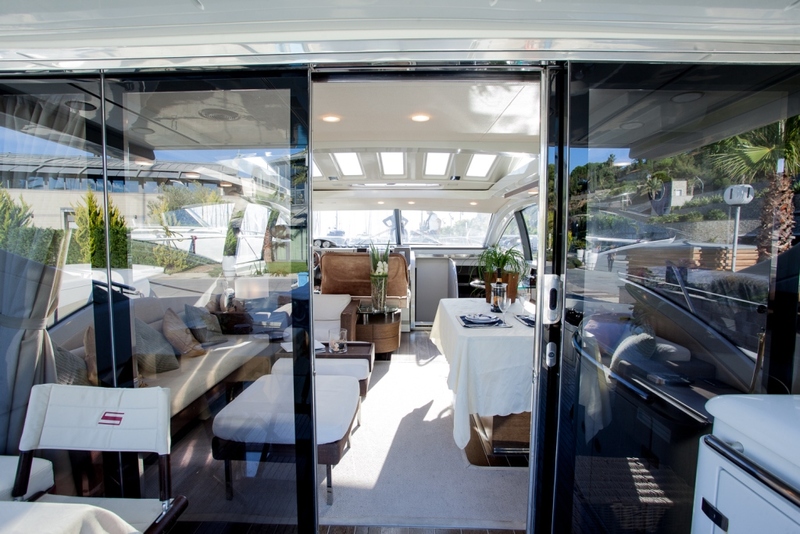 Elongated side windows, retractable roof top and wide sliding glass doors aft, provide a great connection between the indoors and out. 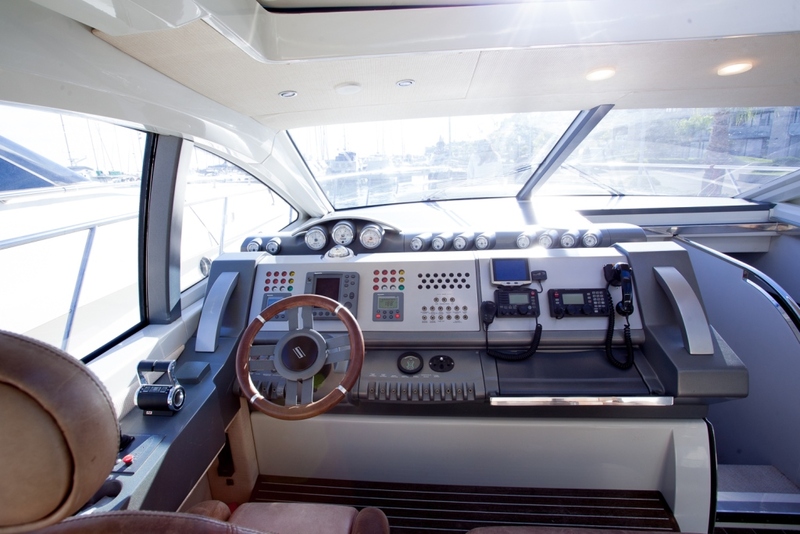 Further forward is the fully equipped helm and navigation station. 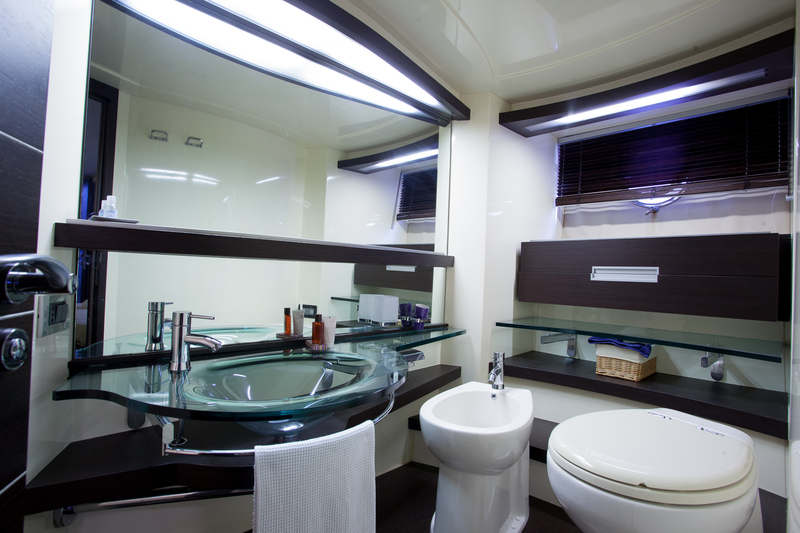 Guest accommodation is below decks, in 3 spacious cabins. 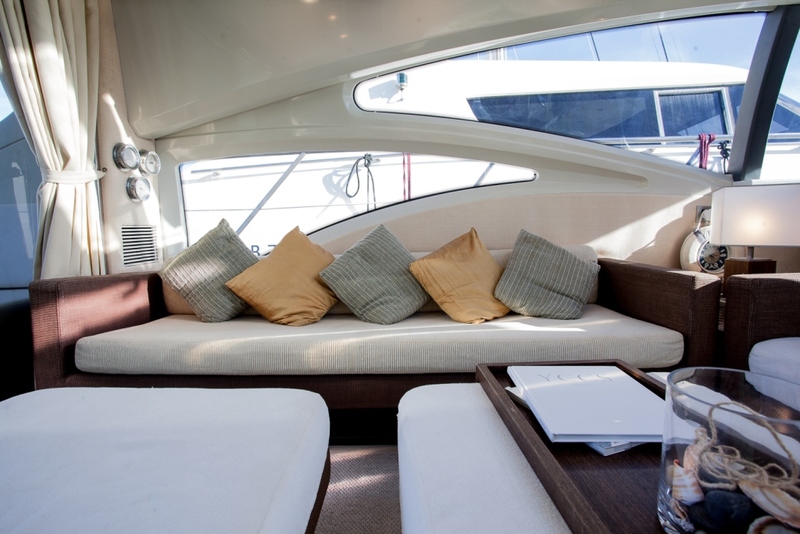 M/Y SAPORE DI SALE is fully air conditioned, boasting optimum relaxation. 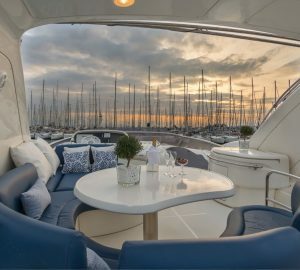 Exterior living on the Azumit SAPORE DI SALE is plentiful and features a partially shaded aft deck with an alfresco dining option, wet bar, seating area and double sunpad. Boasting 360° walk around decks, complete with high stainless steel hand rails, SAPORE DI SALE’s teak decks lead forward with ease, to the generous foredeck and further double sunpad. For the active guests, the extended swim platform on the transom, allows for effortless water access. 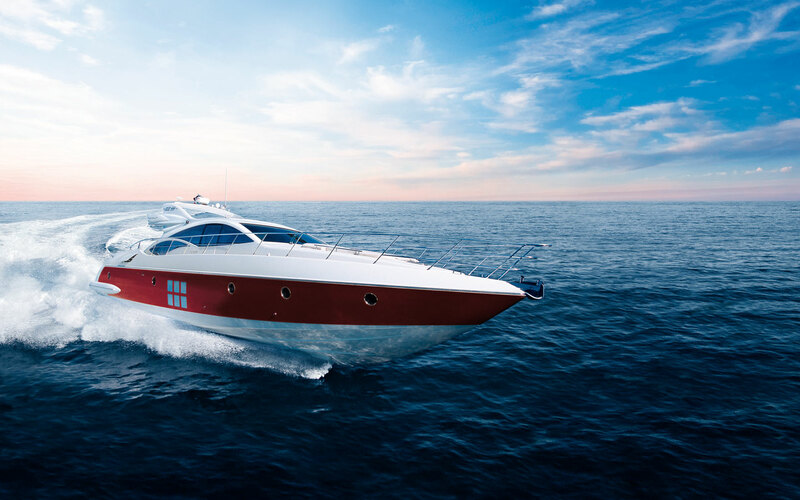 Motor yacht SAPORE DI SALE has a sleek planing hull design. 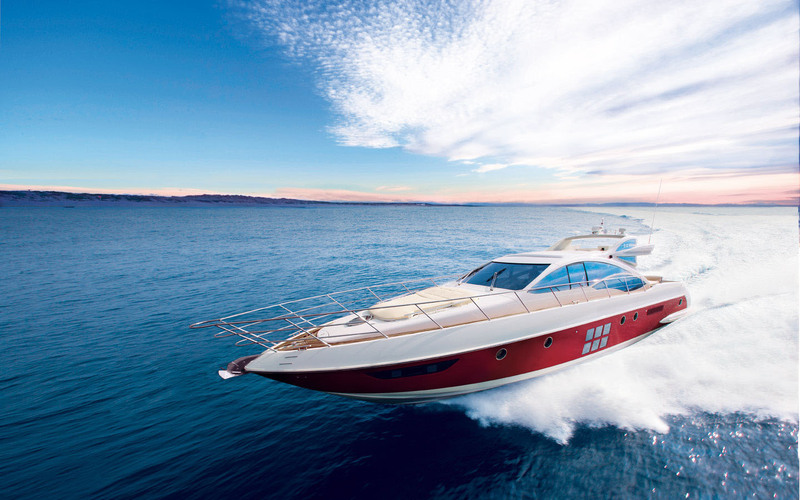 She is powered by 2 x MTU 1350hp engines and is capable of impressive speeds, from 30 – 36 knots. 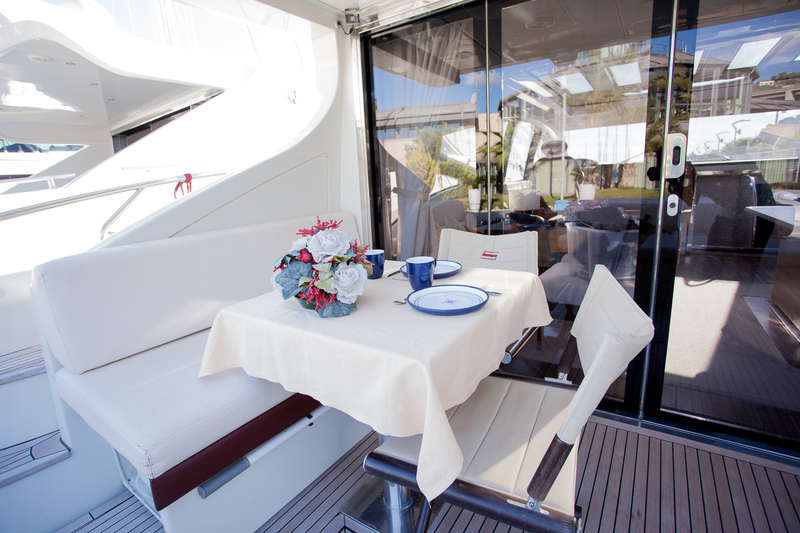 Yacht SAPORE DI SALE accommodates up to 6 guests, in 1 master, 1 VIP and one guest cabin, each with private en-suite facilities. 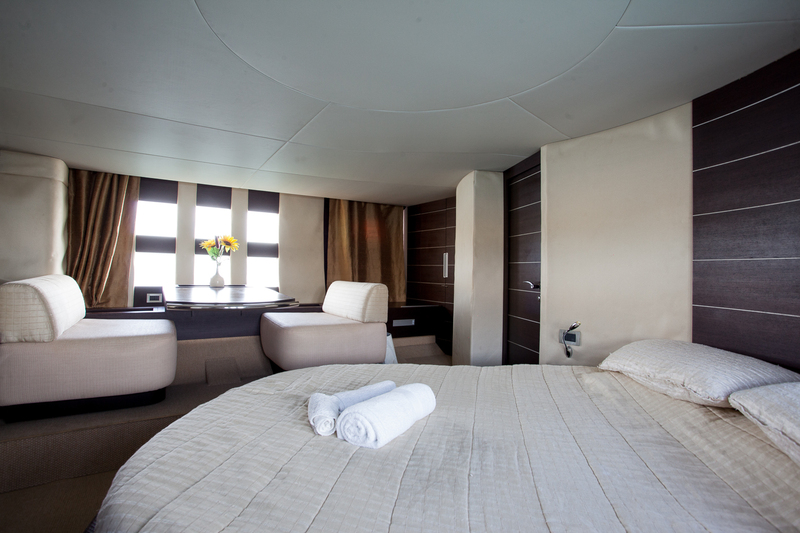 The master stateroom is amidships and full beam of the yacht, with a walk around double bed, seating area with table and port and starboard large hull windows, providing ample natural light. 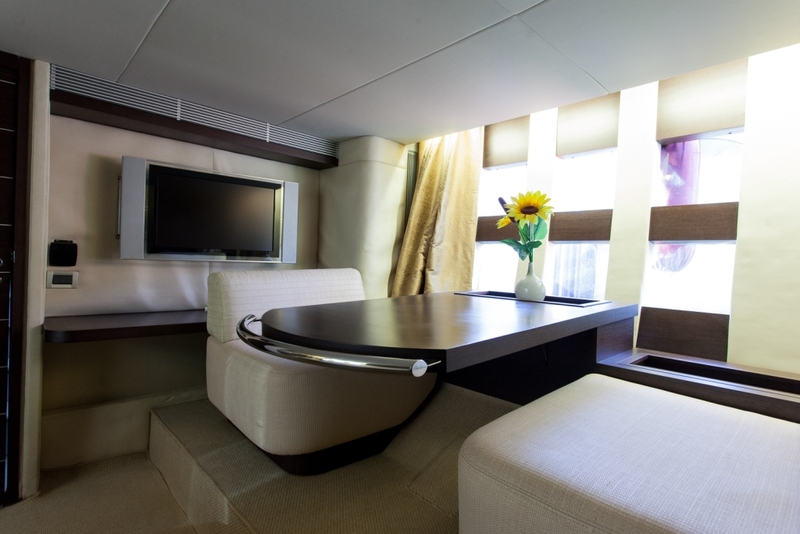 The VIP cabin is forward and full beam of the yacht, with a center lined double bed, large hull ports and an overhead hatch. 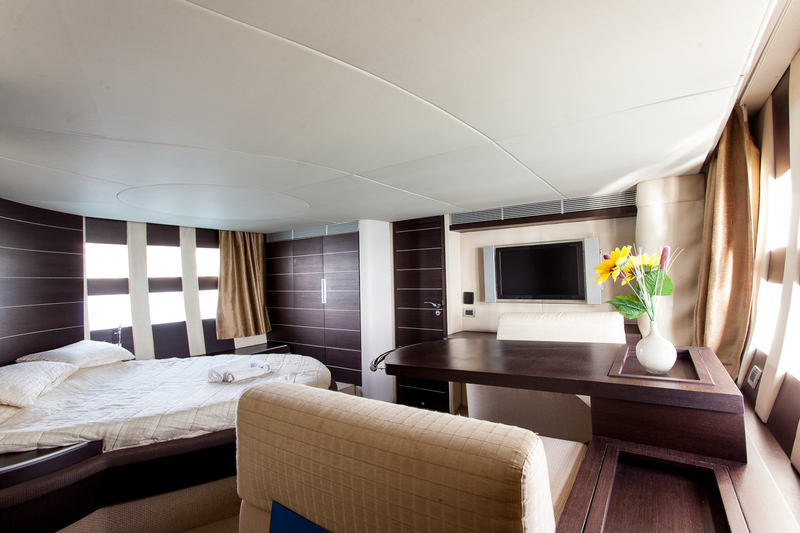 A guest cabin offers side by side twin beds and in hull ports. 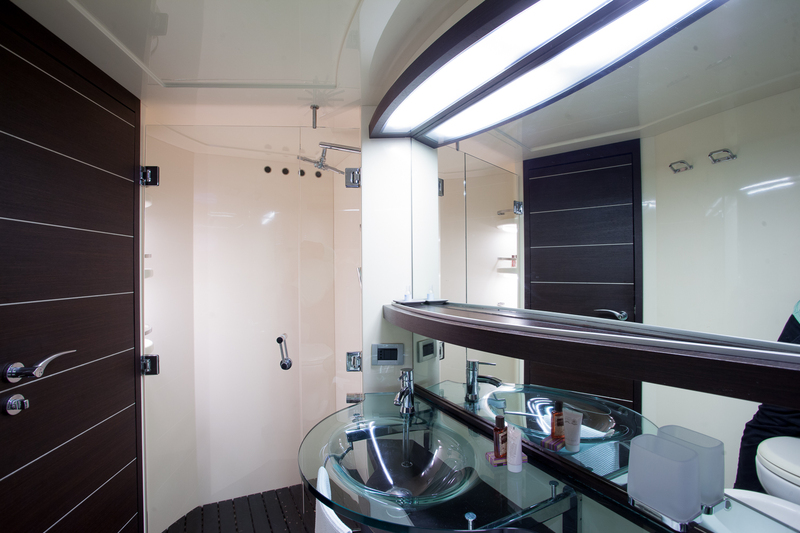 The cabins are elegant, light and boast a rich Italian flair. 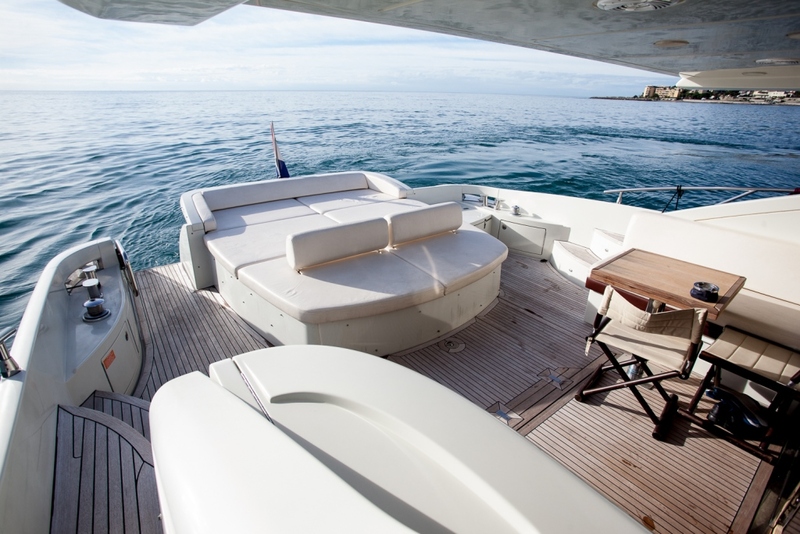 Tenders & Toys onboard the SAPORE DI SALE yacht include a Tender, Communications include a VHF, Audio Visual Equipment and Deck Facilities include a TV and Radio.